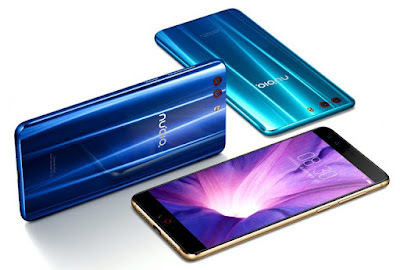 Nubia has introduced Nubia Z17S and Nubia Z17 MiniS Smartphones in China.It has a 5.2-inch 1080p Display powered by Snapdragon 653 Processor with 6GB RAM and 64GB of internal storage. On camera, it has 13-megapixel dual rear cameras with monochrome + RGB sensors on the back, and a 16-megapixel front camera along with a 5-megapixel secondary front camera. Dual SIM device runs on Android 7.1 (Nougat) with Nubia UI 5.0.Nubia Z17 miniS has a metal frame with 3D glass body, features a fingerprint sensor built into the home button Packed with a 3200mAh battery. Nubia Z17 miniS comes in Black Gold and Deep Blue colors and is priced at 1999 yuan. There is also an Aegean blue color variant that costs 2099 yuan. It will be available for order from today and goes on sale from October 19th in China.